The majority of insurance plans do not cover acupuncture or only cover a limited amount, and many acupuncturists do not work directly with insurance companies. We offer an affordable sliding scale for everyone instead of charging a co-pay and billing insurance, and you can enjoy as much acupuncture as you’d like and need for any health conditions you experience. If your insurance plan does cover some acupuncture, we can help you get reimbursed for your very affordable sessions with us. Just ask our front desk staff to provide you with an insurance receipt. 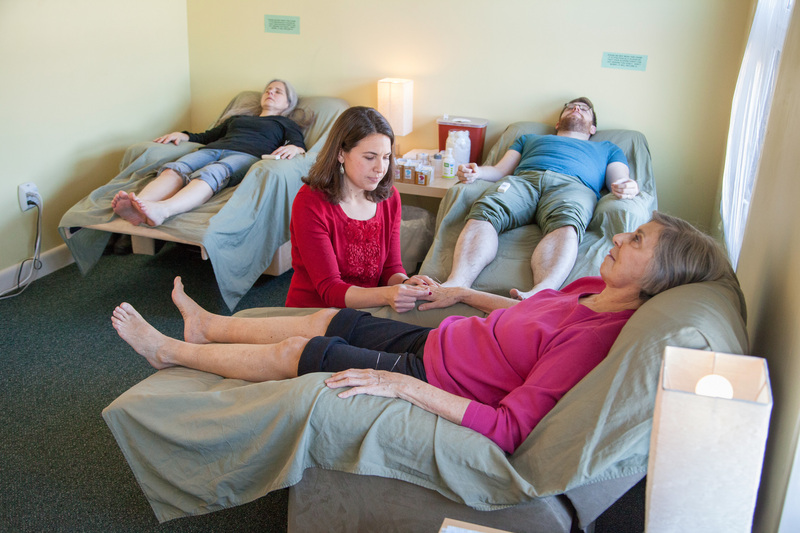 One of the benefits of community acupuncture is its affordability. Our rates are comparable to a typical insurance co-pay. Our sliding scale is $20-40 (plus $15 for the first visit). You decide what you can afford and pay what works for you, no questions asked. Our goal is to allow you to receive the care you want and need in order to achieve your health goals. If you are curious about acupuncture, community sessions are a relaxing and affordable way to see whether the treatment is right for you. For more information about our services and fees, click here.